Last Friday our friends Cindy & Schmed arranged a late afternoon surprise for us, since we’d just celebrated our 15th wedding anniversary. No, it wasn’t the solar powered heart rainbow maker with the genuine heart-shaped Swarovski crystal, even though I thought I’d dropped plenty of hints. 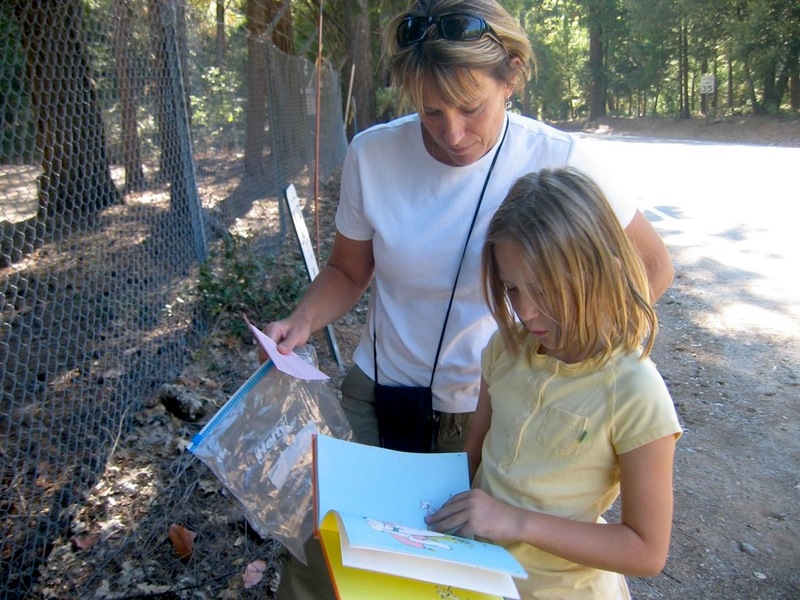 Instead, Jenna came home from school with a sealed envelope they’d left with her teacher. 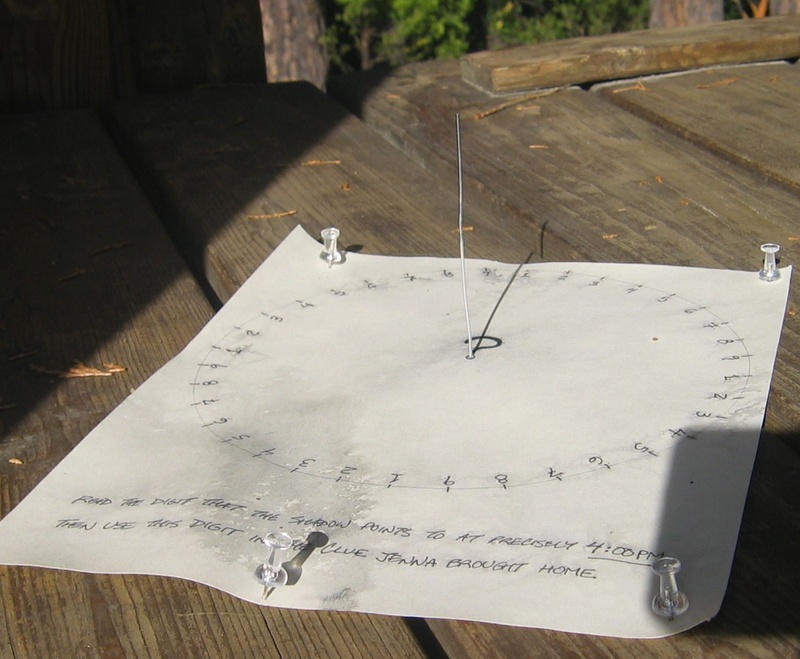 This directed us to a sundial Schmed had secretly constructed on our property. 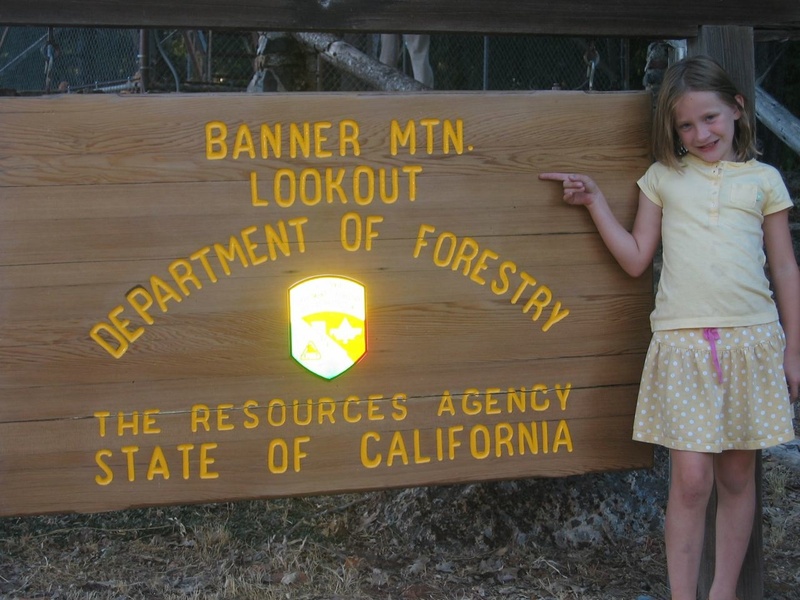 Banner Mountain is the highest point around Nevada City & Grass Valley, at 3899ft. 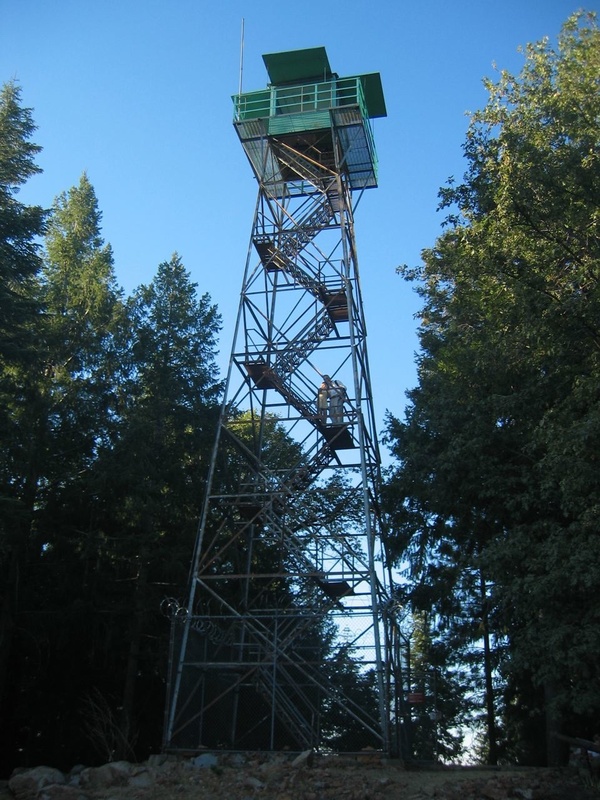 During fire season the tower at the top is manned by volunteers. 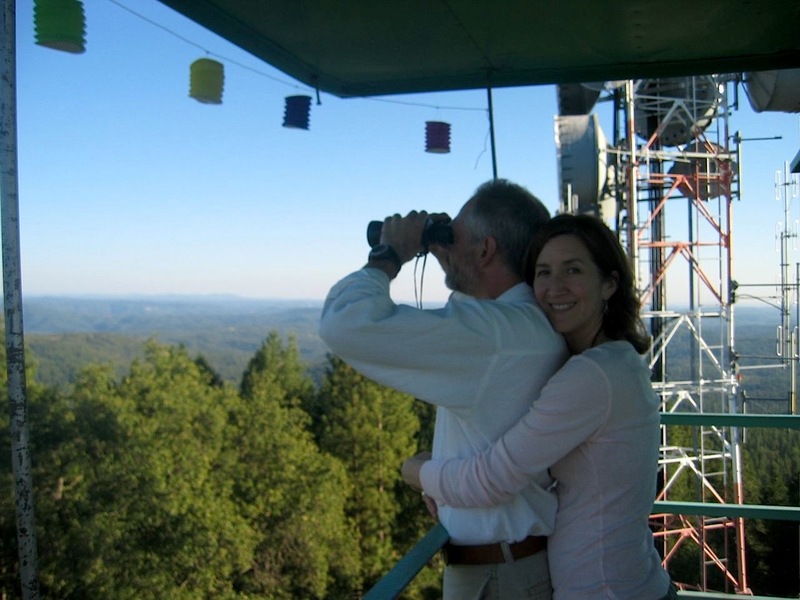 and they’d set up a lovely anniversary party for us at the top. At the end of their 6pm shift, Jenna got to sign off, which pretty much made her day. Talk about raising the bar – I’ll have to start planning their next anniversary event soon, since it’s only 8 months away. Every summer I try to get in one long hike. 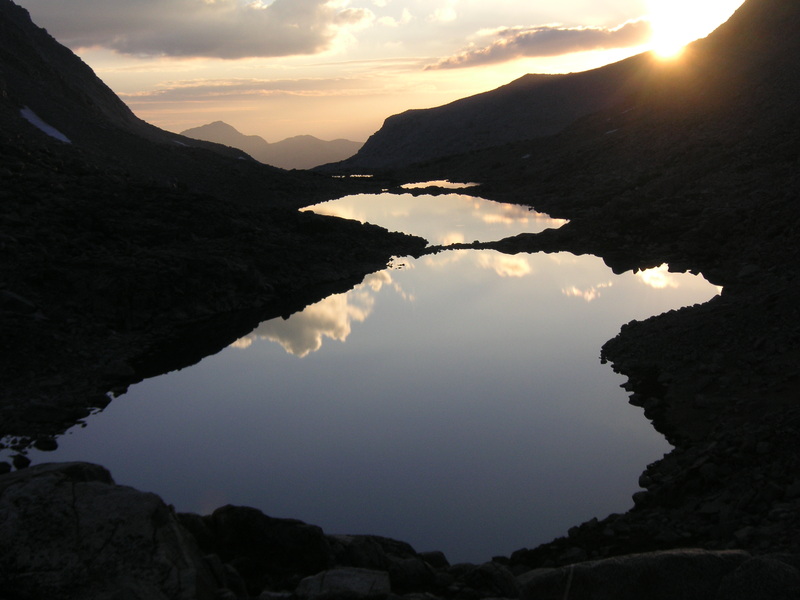 The past two years this has focused on sections of Steve Roper‘s Sierra High Route, as described in his book. 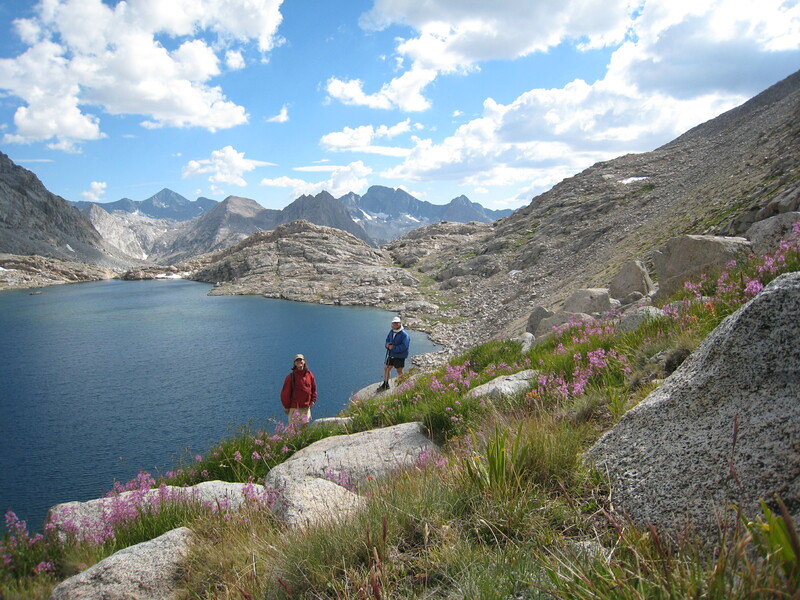 Last summer Dave White & I went from Convict Lake up to Lake Wit-so-nah-pah, then cross country over Gemini Pass, down to the McGee Pass trail, cross country over Shout of Relief Pass and Bighorn Pass, then down to Laurel Lake and the Laurel Creek trail. From here we descended into the Mono Creek Canyon, then up the Second Recess along Mills Creek, over Gabbot Pass, on to Cox Col, and then out via the Rock Creek Trail to the Mosquito Flat trailhead. Near Cox Col we met up with friends – you can find a brief description and some photos from that leg of the trip in the “Krugle Climbing Trip” section on the Vulgarian Ramblers Summer 2007 Tour page. The Laurel Creek trail from Laurel Lake to the end of the hanging valley was beautiful, and we passed some killer campsites right where the trees peter out at the edge of a large meadow. I decided that this would be a great destination for a family backpacking trip. 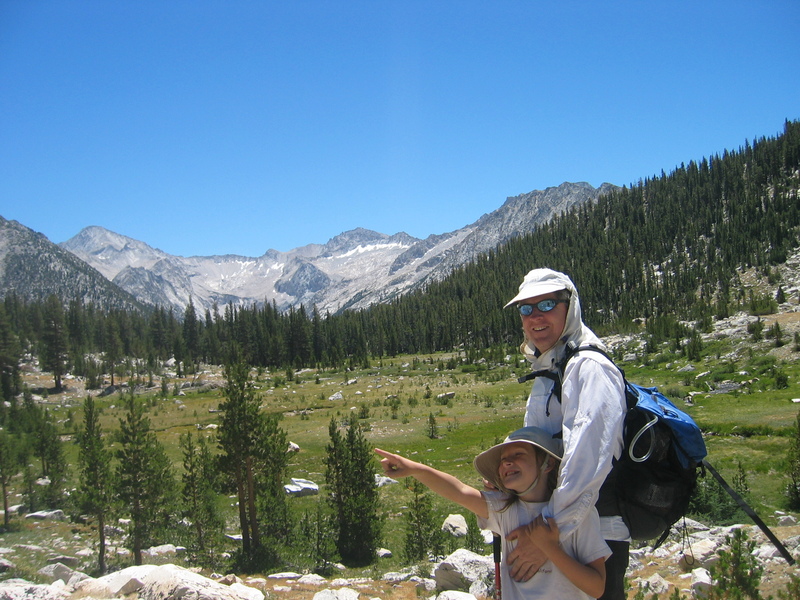 Unfortunately there were a few problems, namely that there was no way my wife & 8-year old daughter were going to hike in the 12+ miles from either the east (via Mono Pass) or west (from Lake Edison) approaches. Luckily I found that High Sierra Pack Station does spot trips in to the First Recess area along the Mono Creek. They’ll drop you and your gear off, then come back and pick you up a few days later. And thus began the planning for this year’s summer hike. After surviving the drive in on the Kaiser Pass Road, so accurately described here, we took the ferry from Vermillion Resort across Edison Lake, and met up with the horses on the far side. Unfortunately the lake level was to low for the regular boat to operate, so we got shuttled across in a smaller boat, and wound up arriving 2 hours later than expected. The drop off at Fish Camp was also further from the Laurel Creek trail than I’d expected, and the slog up the north side of Mono Creek canyon was a lot steeper than I remembered, so our arrival at camp was a bit later than planned. But once we settled in, it was every bit as gorgeous as I’d remembered from last summer. 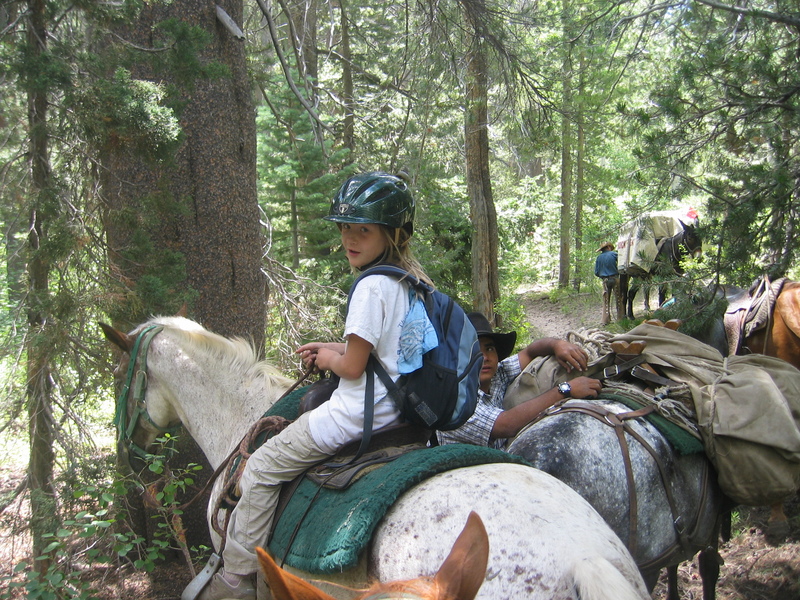 After four days of fun family camping, we hiked back down to Fish Camp, where the horses met us. 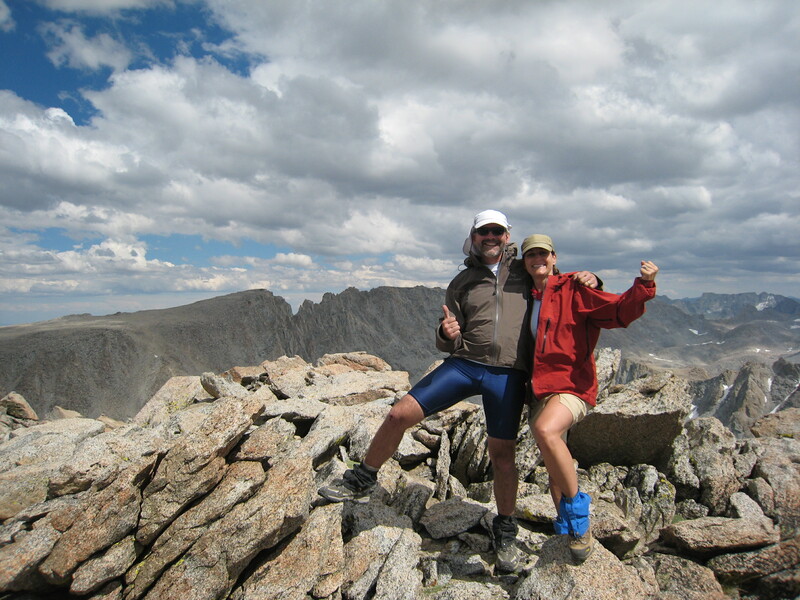 I said goodbye to the family, then retraced my route from last summer up the Second Recess and over Gabbott Pass. A drizzle made the tedious talus hopping near the pass more exciting than it was the first time. I dropped down to Lake Italy, where the drizzle finally turned into rain, forcing me to stop my death march. Early the next morning I reached the Italy Pass trail, and put it into cruise gear. But two snowfields that covered the trail down to the lake presented the biggest challenge of the entire trip – crossing crusty snow at 6am in trail running shoes and no ice axe was not what I expected. After about 45 minutes of very careful sun cupping I was past that ugliness, just in time to lose the trail as it ascended towards Jumble Lake. For once, the god-awful ducks I’ve been seeing everywhere came in handy, as somebody had clearly marked where the trail crossed the creek. So as much as Roper hates ducks, they do have their uses, as otherwise I’d have been wandering a talus field trying to find the trail using the bogus location printed on my topo map. Once over Italy Pass, it was an easy but painfully meandering tromp down to Honeymoon lake, where I met Dave White and Grant Glouser. They’d hiked in on the Pine Creek Pass trail yesterday afternoon. So far we were three for three on back country rendezvouses (and yes, that is the plural form). We caught some big hail on the other side of Pine Creek Pass, but once it stopped we found ourselves descending through the most amazing wildflowers I’ve ever seen in the backcountry. Lush meadows covered with bright red, blue, yellow, orange, purple and white blossoms. Burbling brooks winding their way past twisted pines. And three hikers without a camera between them…sigh. Eventually we split left on the unmarked L Lake trail, passing a large group of high school kids toiling away on trail maintenance. Our campsite was lovely Elba Lake. The next day we went cross-country past Puppet Lake, over the first pass I’ve found with three names (Puppet, Carol Col, and Roget), and then down past Mesa Lake. This area made me feel like we were wandering the Russian steppes, that is until we came across a huge encampment (hauled in over the fragile meadow via horses) complete with the Taj Masquito Tent. 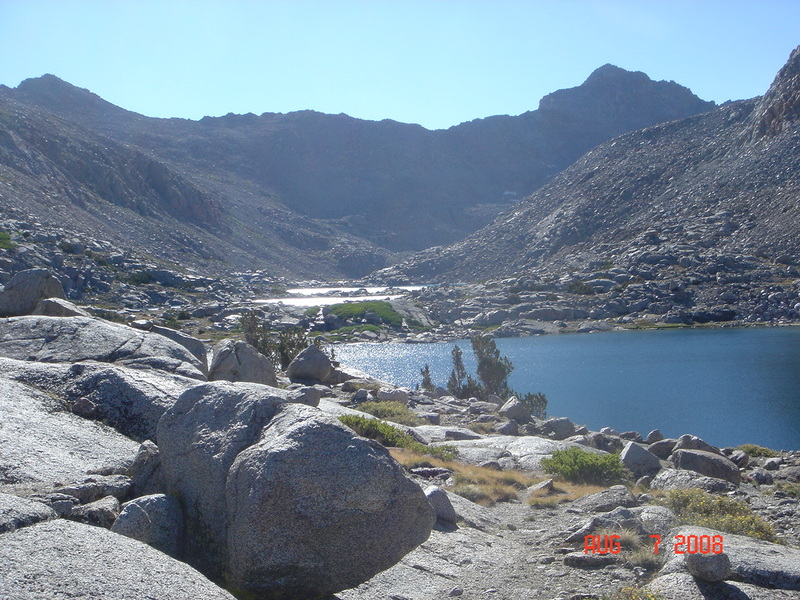 We picked up the Piute Pass trail and took that up to Piute pass, then split right on the unmarked trail to Muriel Lake. From there it was a short cross-country walk to Goethe Lake, and some more spectacular views that continued to be unrecorded anywhere but in our minds. The following morning was the start of a long and fairly unpleasant climb via big talus to Alpine Col. We descended more talus to the lake on the other side, then traversed around the east shore (the west side was a no-go) over still more talus and through huge clouds of gnats, until finally meeting with with Schmed and company at the gap between lakes 11540 and 11546. Four-for-four, we must be living right. 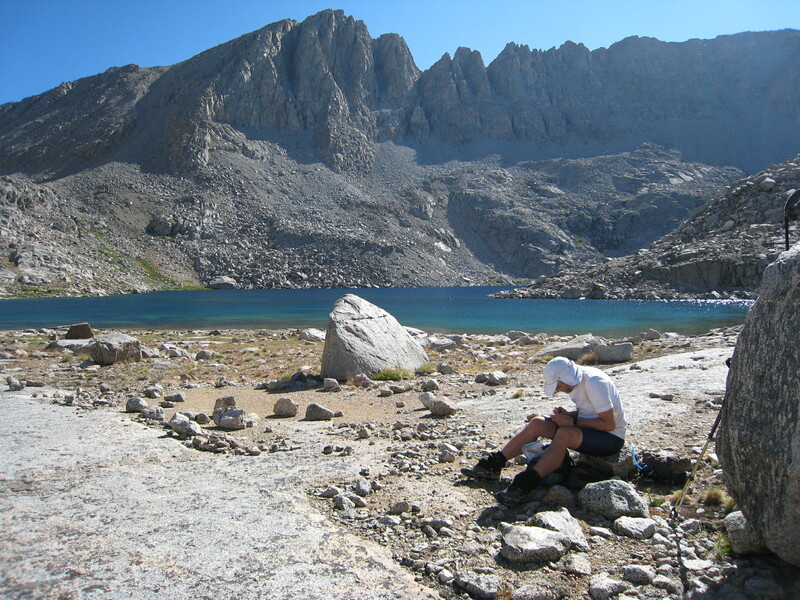 Schmed, Laurel, Kirsten and Dan had entered via the Lamarck Lakes trail a few days prior. 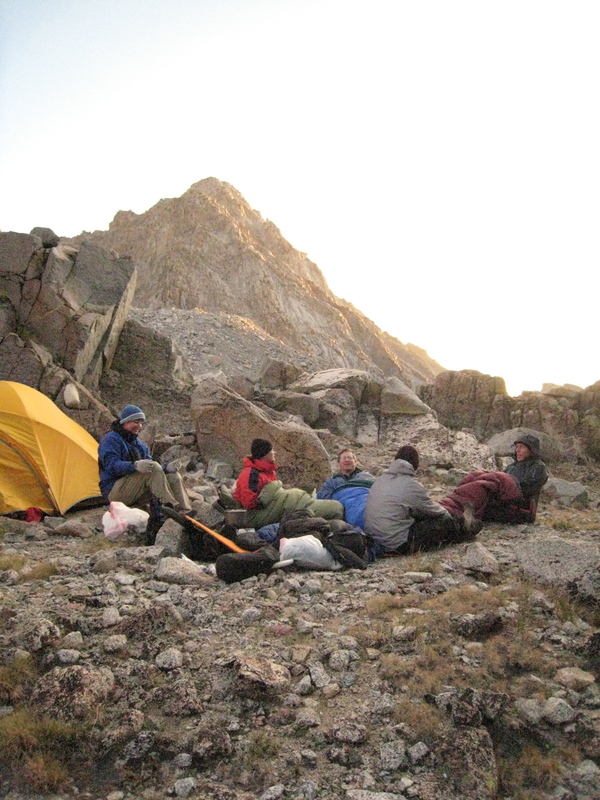 They reached the Darwin Canyon via Lamarck Col, after which Schmed and Dan climbed Mt. Mendel. 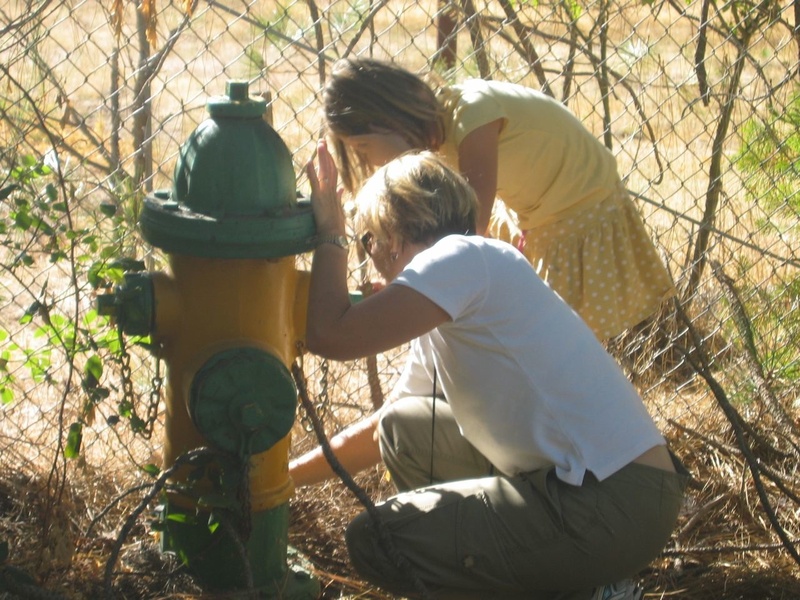 You can read a brief description of their trip in the Darwin Canyon Trip section of this page, along with photos. The following morning we hiked over Lamarck Col, then down the Lamarck Lakes trailhead. A dinner stop at the Whoa Nellie Deli (cleverly hidden inside a gas station) on the long drive home helped take care of some of those food fantasies I’d been experiencing after 8 days of freeze-dried. Not sure what my most common shell commands says about me as a person, other than I’m a heavy user of Subversion and Maven, and I have to frequently access and move files to/from a bunch of servers at our office and colo.
And as Tim Bray pointed out, it doesn’t say anything about the tools I use the most – OmniFocus, Eudora, and Eclipse. But still, for one line of bash/awk it’s a fun peek into my daily tech life. You are currently browsing the Ken's Techno Tidbits blog archives for September, 2008.